$30 for Adults. $15 for Children Ages 6-12. Children Ages 5 and Under Admitted Free. 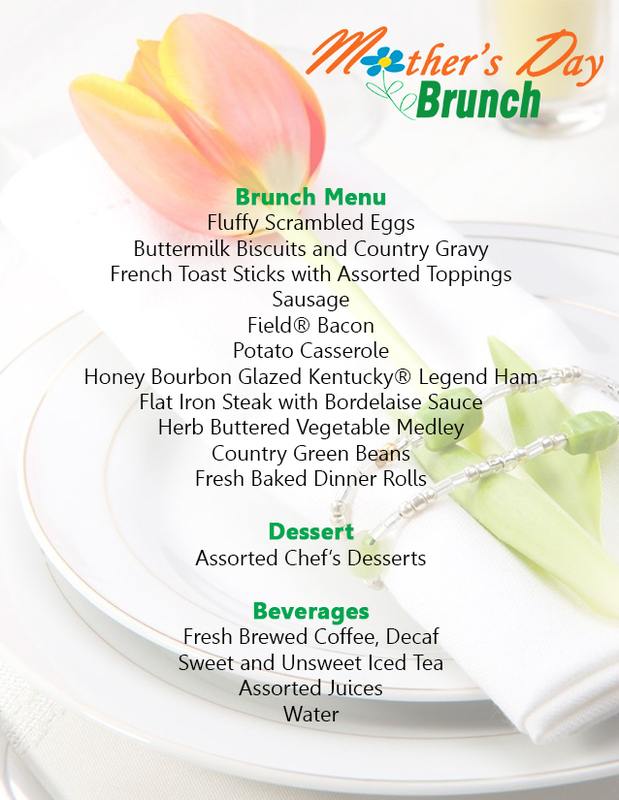 Leave the cooking to us and treat Mom to an elegant dining experience at the Owensboro Convention Center! Plus, each mom who attends will receive a complimentary floral gift to take home and can register for a chance to win some wonderful prizes from our sponsors, including Pandora bracelets with a sterling silver Mother filigree heart charm from Nick T. Arnold Jewelers and a massage relaxation package from Serene Relief Spa! Tickets: $30 for Adults. $15 for Children Ages 6-12. Children Ages 5 and Under Admitted Free.